The reception was attended by His Excellency Luciano Suriani, Apostolic Nuncio in Belgrade; His Eminence Porphirije, Metropolitan of Zagreb-Ljubljana; His Grace Bishop Irinej of Bachka; mons. Giovanni Gaspari, official of the State Secretariat of the Vatican; mons. Filipo Kolnago, First Secretary of the Nunciature; Revd. 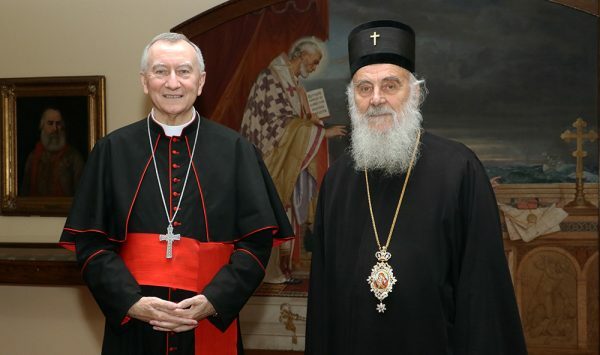 Aleksandar Ninkovic, associate of the Nunciature, and deacon Dr. Aleksandar Prascevic, head of the Serbian Patriarch’s Office.